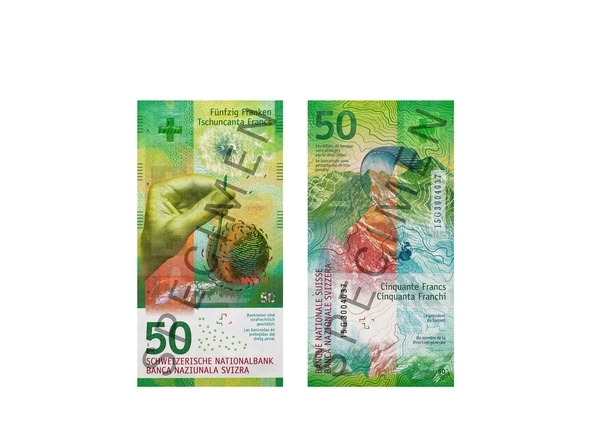 When Switzerland issues their new 9th series 1000CHF banknote (worth about $1000) I wonder how much they could issue for world consumption? The 8th series peaked at around $50 billion. It occurred to me that bitcoin peaked at over $320 billion, and the Swiss banknote has removed all Swiss historical portraits and has 13 high tech security features. 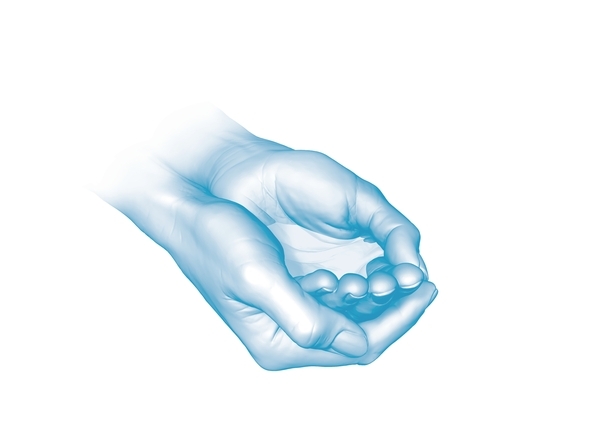 There is no real reason why they can't reach $300 billion, even if the GDP of Switzerland is only about $700 billion. If people can bank over $300 billion on a mathematical formula, what is there to prevent them from spending that much on beautiful secure paper? 1000 Swiss francs in year 1907 could buy 291.057 gram gold. The price of 291.057 gram gold in year 1911 was $193. 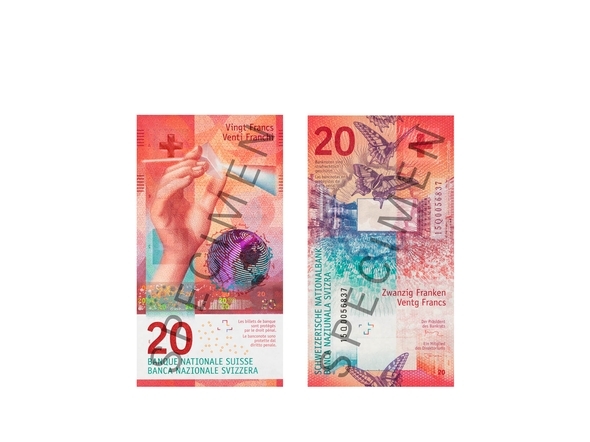 The Swiss 200 franc note was released on 22 August 2018. The only denominations to be released in 2019 are 100 francs and 1000 francs. 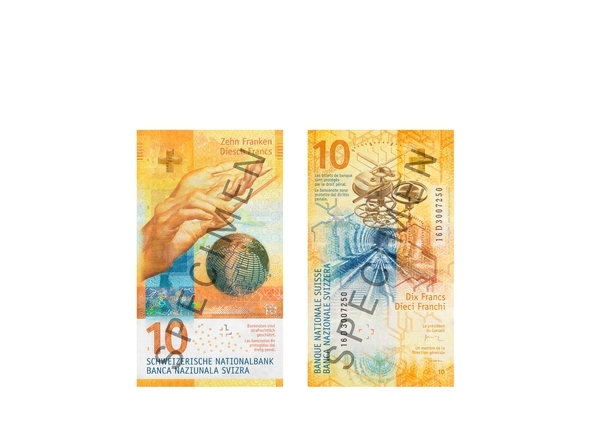 Swiss 1000 CHF banknote 9th series design will not be released until 2019, but it will follow the "hand" theme used in the smaller denomination notes. If Switzerland starts making a fortune because people start acquiring their thousand dollar banknote, should we follow with out own thousand dollar bill? If we think the largest value in circulation of banknote denominations, not just by face value but face value* number of bills in circulation, they would be ranked thusly. Benjamins are ranked #1 of course, as they cumulatively are worth over a trillion dollars. Closely following the Benjamins by the largest value of Japanese Yen banknote in a society very obsessed with cash. The next three are Euro banknotes, but the highest ranked is the €50 (not the €500) , which is the primary note in ATM machines. 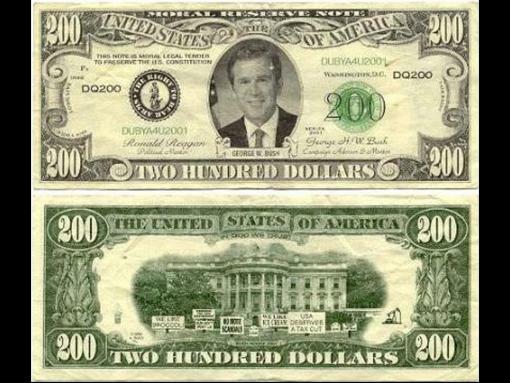 The remainder of the notes are often not worth that much per note, but there are simply a lot of them, The USD$20 is a good example. 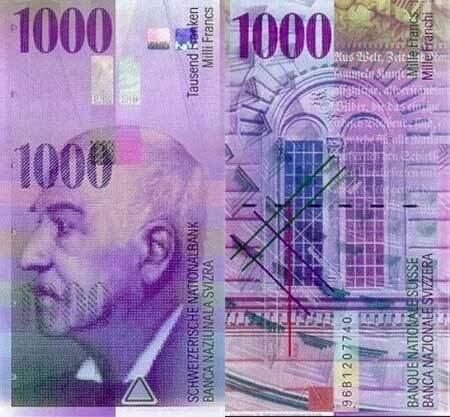 The Swiss thousand franc note, is the only worth over US$1000. Despite there being only 48 million notes, it still makes the top 10 because each note is so valuable. 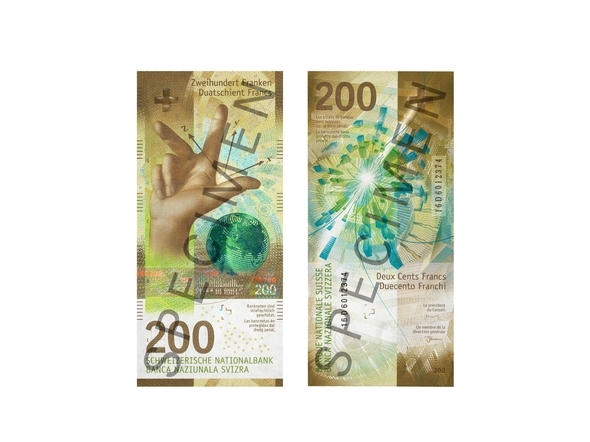 If the 2019 Swiss 1000 franc note becomes a collectible around the world, this ranking could move up to hundreds of billions of dollars. DATA is for 31 December 2016. The trouble with big bills in circulation is the larger the denomination the more attractive they are to counterfeiters. Today, even an ordinary xerox machine can make a good reproduction, hence our complicated $100 bills. $1000 bills for $1 because it has the correct portrait (Grover Cleveland) and I keep it in my holdup wallet. That is the wallet I carry when I must go into a big city or out after dark on a Friday to give to a holdup man. Yes and no. Larger bills are harder to pass and when people do take them they give them a much closer look. After WWII the British demonetized all bills higher than £5 because of fears that old banknotes counterfeited by the Nazis would show up. On 21 February 1964 they re-introduced the £10 banknote, and 9 July 1970 the £20 banknotes, and on 20 March 1981 the £50 banknote. When the £50 was reintroduced it was worth $113 although it dropped below $100 within 11 weeks. But by then the people were very distrustful of high-value banknotes and most businesses would not accept them. In November of 1994 the ECB decided on the denominations for the future Euro. While the €100 and €200 were expected the bank decided to include the €500 denomination. Fear of counterfeiting and of drug trafficking meant that there was a lot of concern about the high-value banknotes. There were three denominations over €260. In November of 1994 there were only nine $100 banknotes per US inhabitant in circulation. The ECB felt that they had to risk the counterfeiting and drug trafficking or they would not reach their goal of having the same level of circulation as the USD. It took five years, but by the end of 2007 the US was circulating $828.91 billion in banknotes and coins while the Euro area was circulating ~700 billion Euros in banknotes and coins which was worth over a trillion USD. The problem with counterfeiting high-value banknotes is people look at them carefully. Now that there are more $100 banknotes than $1 banknotes in circulation it is much easier to pass them off. I bought one of the $1000 bills for $1 because it has the correct portrait (Grover Cleveland) and I keep it in my holdup wallet. That's an interesting fake. Of course the last $1000 bill was produced half a century before the big-headed designs. Trivia Question about the Treasurer of the United State's. What has been true about the Treasurer since Harry S. Truman appointed a new person to the position after his surprise win for the Presidency in 1948? Harry Truman viewed the Treasurer as a high profile position where he could appoint a woman. Her signature would be on all the currency in the country. Every Treasurer since then has been a woman so that of the 44 people who have held the position the first 28 were men. All 77 holders of the Secretary of the Treasury cabinet-level position have been men. Richard Nixon appointed the first Latina to the position, and Jimmy Carter the first African American woman to the position. 2026 now, maybe, for the Tubman twenty dollar bill. If I get lucky maybe it'll keep getting pushed till I'm dead. MLK I'd have been happier about. 2026 now, maybe, for the Tubman twenty dollar bill. If I get lucky maybe it'll keep getting pushed till I'm dead. USA increased it's CIC supply by 86.77% while it's GDP only grew by 34.51%. You would think that the $20 would too small a denomination to put into ATM machines, and by now the $50 would be more common. Scandinavia is often considered the center of the movement to cashlessness with Sweden leading the way. Denmark and Norway are basically keeping CIC in pace with GDP (while Norway is actually decreasing CIC). Iceland is the exception as it is still recovering from the bankruptcies of 2008 and is returning to cash after becoming the most cashless country in the Western World in the 1980s. Article in Wall Street Journal today says it is officially released. Mixed feelings on that. 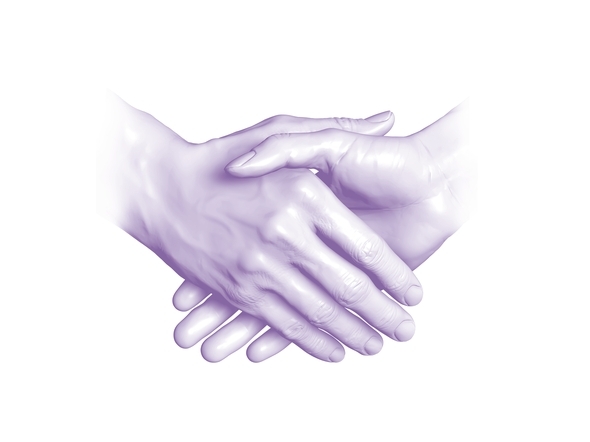 I certainly use cash in special circumstances, like gambling, but my daily practice is credit cards - that can be exclusively so for months at a time. It looks like Denmark has joined Norway and Sweden as the only three countries in the developed world where the value of banknotes in circulation is now decreasing. The highest denomination in all three countries, the 1000kr banknote is being used less and less. Worth around €135 at current exchange rates, the party argues that the note is of little use to Danish citizens and primarily benefits criminals. The ECB has printed about a billion €200 notes anticipating a large demand as the €500 note will not be updated on May 28,2019 when the updated €100 and €200 banknote are issued. Norway has not produced a new 1000kr banknote since 2005. The old notes are gradually being retired as they are worn out. A new 100kr banknote will be issued in the last quarter of 2019.